Initially CQE specialised in the design and manufacture of purpose built agricultural/farming equipment and implements, however as business grew CQE diversified into manufacturing heavy road transport equipment. In 2006, CQE moved to a small workshop in Maddington Perth creating further demand from the local market. Subsequently business growth resulted in relocation to larger premises in 2008, where CQE is currently located, at 106 Dowd Street Welshpool. 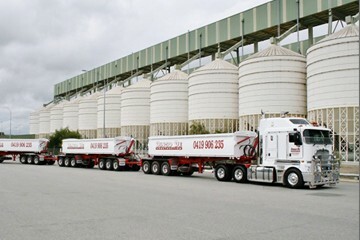 Over the years, CQE have developed a diverse and loyal client base including various large transport, mining, agricultural and earthmoving companies. The volume of repeat clients is testimony to CQE’s high level of quality workmanship and continuous service. CQE has become one of Western Australia’s premier manufacturers and stands by the quality and design of their equipment. CQE pride themselves on a high standard of personalised customer service and the ability to consistently deliver quality equipment, built to meet Australian Standards.